Our purpose is to make sure that every family member, from new-borns to aging seniors, feels loved and supported on their journey to optimal health. We understand that health is not an event in our lives, but a journey which requires nurturing support. In our office we enjoy an atmosphere that feels like home and take pride in the relationships we have built with our practice members that offer the chance to inspire and encourage healthier lifestyle choices. We believe that good health is our greatest asset, and our mission is to protect yours! Our Shrewsbury Chiropractors provide the practice members of Shrewsbury Family Chiropractic with state-of-the-art wellness care. We have a wide range of chiropractic techniques as well as other supportive approaches to help you enjoy greater health and wellness. Our chiropractors have a reputation for excellence in meeting the needs of young families, including mums-to be, babies and children. They help sports enthusiasts combat sporting injuries and achieve better performance. Senior members of our community feel they can maintain a better quality of life and can keep participating in the activities that they love. We have a love of family and community spirit and see this as a vital ingredient when looking at health and well-being. We strive to provide our patients with the very latest in technological advancement in protecting their most precious asset: good health. Dr Fredericksen (Chiropractor) is a certified Webster Technique® practitioner, offering his pregnant patients high quality chiropractic prenatal care. This highly researched approach is safe and gentle and is designed to give our mums-to-be a great experience of pregnancy followed by a natural and normal birth. We also love children and want to give them the greatest start in life through a healthy and well-balanced nervous system. 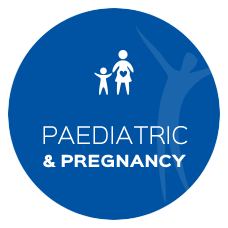 Dr Fredericksen (Chiropractor) is a member of the International Chiropractic Paediatric Association (ICPA) and welcomes kids of all ages. Modern computerised scanning technology, the Insight™ Subluxation Station and CoreScore systems, provide us with a unique opportunity to identify and assess how our nervous system and spine is being effected by our lifestyle stressors. Our practice members love this non-invasive protocol that not only accurately detects nervous system interference, but allows us to monitor your return to optimal health. 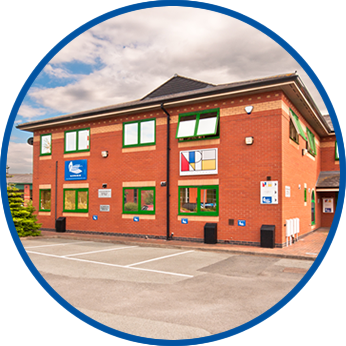 With ample off street parking, we are located in an easy to reach location in Shrewsbury which makes visiting Shrewsbury Family Chiropractic hassle free. We are open 6 days per week with accessible hours so you need not worry about juggling your diary. Call Shrewsbury Family Chiropractic today! 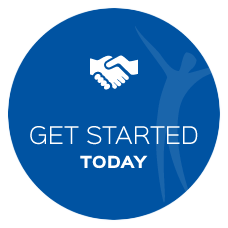 Chiropractors Shrewsbury are passionate about what we do and would love to help you by sharing our knowledge to ensure you can stay well with less future health setbacks. Our chiropractors are happy to answer any questions you may have. In the meantime, we hope you enjoy exploring our website and see that we are a dedicated team of enthusiastic people who care about your health beyond symptoms of pain and ill-health. If you are ready to come in, contact our Shrewsbury Office and see for yourself why so many people have enjoyed incorporating chiropractic care into their lifestyle. Very friendly and helpful staff, professional approach and reassuring to new patients. Glen was very helpful, knowledgeable and informative. Use of high tech equipment was interesting. Laura was very sensitive and understanding, she listened carefully. Very clean and modern treatment rooms. Receptionist very professional. Very pleasant atmosphere and very professional, recommend to anyone! Lovely friendly staff, made me feel at ease and the practice was lovely bright and clean. Really enjoyed my first appointment and looking forward to the next one! Great service from reception desk right through to seeing Glenn. I was very pleased with my first Chiropractic experience. This is a comfortable homely practice, and I would recommend it to anyone. Very easy to talk to, very understanding of my pain and I felt hopeful I will be relieved of pain in the future! Looking forward to my next appointment next week. Fantastic first visit. The whole team was so helpful and reassuring, and I feel confident that I’ll receive all the help I could possibly need and more. Can’t recommend highly enough. Very friendly and polite staff. Really positive after the first session! I’m looking forward to my future visits with you lovely people! I am eagerly awaiting my next session as I found so much to hope for in the first one. Thank you for making me feel welcome, important, but most of all for actually listening. A relaxing environment , very friendly welcome. Looking forward to our future visits. Very friendly and welcoming staff, easy to find and park, they talked you through the whole process from the start. Extremely friendly and professional staff. Could not recommend enough! Very pleased. Really enjoyed my first visit – I didn’t really know what to expect but I am thrilled that I have made the leap! Shrewsbury Family Chiropractic offer a professional yet friendly service. All staff are both knowledgeable and helpful in their own remit. Love the lifestyle and holistic approach taken to treatment. A lovely welcoming atmosphere, I felt very confident in what was being discussed and am looking forward to my next appointment. Thank you. The personal contact given by the team was exceptional. This alone is worthy of a mention. Very thorough approach. Laura is very enthusiastic and knowledgeable and I feel confident she help me. Lovely staff excellent service can’t wait for my next appointment. Very friendly, relaxing and professional atmosphere created by the staff, I felt confident in the hands of the chiropractor and am looking forward to more treatments! I know it will take time to fix my longstanding back problem but the pain relief I had after only 1 appointment was huge! Very welcoming staff. the video clip was very useful in understanding my condition. looking forward to future visits. As of writing, I am able to lie down pain free. Fantastic service and very friendly helpful staff looking after myself and my little boy!